Since the age of 9, 17 year old Linet has been fighting to keep her eye sight. She sits her KCSE in 3 months, but first needs to undergo eye treatment in India. Linet Muthoni is 17 years old. 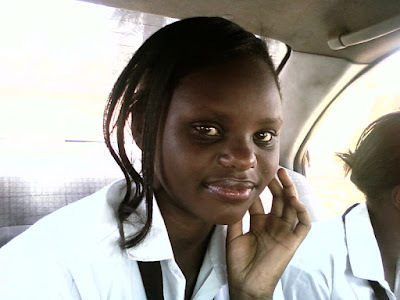 She is a high school student and sits for her Kenya Certificate of Secondary Education exams at the end of this year. Like every other 17 year old, Linet is looking forward to a bright future where she can play her role in making Kenya a better country. She however needs your help to make her dreams come true, and for her to literally see her future. You see, Linet has had a medical history of acute allergies in both her eyes. The allergies have been so severe that she started wearing glasses at the tender age of 9 years. In a quest to lead cure these allergies, Linet has been to more than her fair share of doctors and hospitals. It is also in this period that Linet has developed a condition known as keratoconus. You can look that up on Wikipedia to see what it entails, including itching of the eyes, which Linet has experienced over the years. On a typical July morning in 2013, Linet woke up to find her black part of the right eye - the iris - had turned white! Linet and her panicked mother rushed to the eye hospital at Kikuyu, who then referred them to an eye specialist in the city. 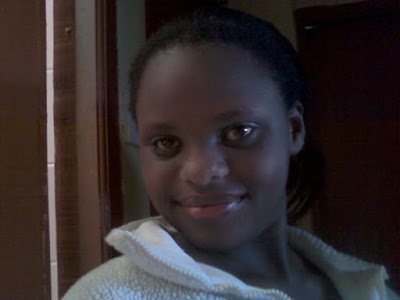 Here, Linet underwent surgery in both her eyes. Her left eye however got an infection, which was treated, but healed leaving her with a scar on her cornea. A visiting doctor from Germany advised on a procedure to remove the scar, which Linet duly underwent in November 2014. Two days later, Linet was in so much pain, which the doctor attributed for an infection, which would have to be remedied with a corneal transplant. A visiting US doctor did this procedure, but it led to further complications with her eye lens, which was removed and is yet to be replaced. Recently, Linet’s left eye was diagnosed with a complication, where the grafted cornea is developing vascularisation - an Internet search reveals this is the growth of blood vessels from one organ to another. The doctors says this is likely to lead to a rejection of the transplanted cornea and are trying to manage it. Linet’s journey to maintain her eyesight now takes her to India, where she is scheduled for consultations and procedures with eye specialists. To do so, she needs to raise Ksh. 1 million in the next week, to enable her go for treatment over the August holidays. Linet is requesting you and your friends to help her achieve her vision of a brighter future. She will hold a fundraising on coming Friday 31st July at the All Saints Cathedral in Nairobi. You can also contribute via M-Pesa Paybill number 573666. Any amount is welcome. A contribution of KSh. 1,000 will leave her with only 999 other kind contributors to reach her goal. A contribution of KSh. 100 will only leave 9,999 other people, of which you can ask 10 of your friends to contribute to Linet too. Let’s help Linet sit for her KCSE exams this year and achieve her vision. Please share this appeal.